Our product range includes a wide range of slicer machine and slicing machine. We are one of the renowned manufacturers and suppliers of a wide assortment of Slicer - Economical. Using finest quality raw materials, we manufacture these economical slicers in our sophisticated production unit. Our stringent international quality tests guarantees perfect performance and low maintenance. 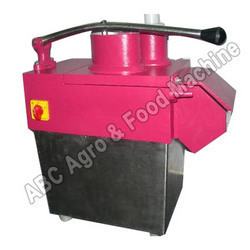 Our slicers are available in semi automated model which can be operated with single phase as well. We are engaged in manufacturing and supplying of the wide variety of Slicing Machines, used in wafer manufacturing industries. Some of the best quality raw materials such as stainless steel and sophisticated technology are used in fabrication of these machines. Few of its features are user friendly and easy to operate, High production, Long service life and latest control technology.